The Blind Rooster by Preston land is the 13th title my publishing company Crime Wave Press has released. When con-man Ralph does a runner on the check at a shabby diner in an unfamiliar town, he doesn’t expect it to catch up to him. But the waitress Arlene tracks him down and ropes him into a bizarre heist involving ugly family secrets, a violent stepfather, a well-secured safe, and most of all Arlene’s mother Gracie—a sultry karaoke queen who tickles Ralph’s fancy for older women. Ralph will need all his guile to make it through a job that has him wishing that he’d just paid for his meal. 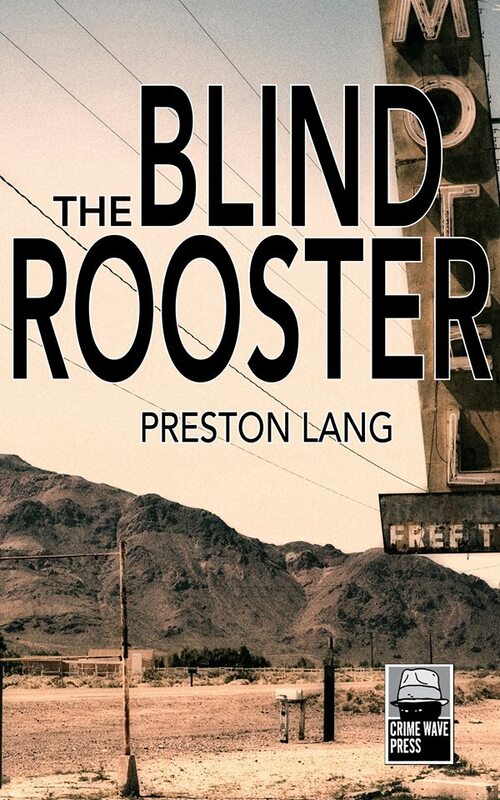 The Blind Rooster offers a crude slice of American small town Noir, sunny side down, with echoes of Jim Thompson and Elmore Leonard. Hi there. No, I don’t allow any guest posting. The site exists to present my work. Best.